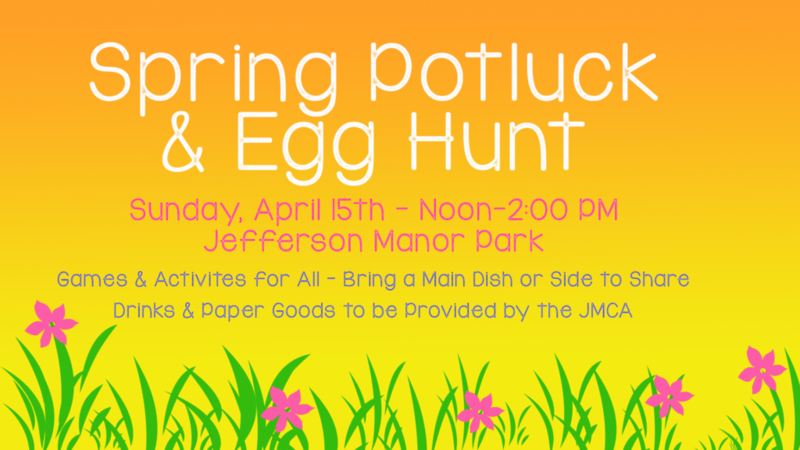 Spring Potluck & Egg Hunt – Welcome to Jefferson Manor! Come out to the Jefferson Manor Park Pavillion for our Annual Spring Pot Luck and Egg Hunt! Last name A-L bring a dessert, M-Z a side dish. The JMCA will provide drinks and kid-themed activities and games!